I’m new here, and to be honest I’m still getting my head around how it works! This may become evident from the fact I created my first post before properly introducing myself, but thanks to some helpful tips I made it over to the Introducing Myself thread eventually! The concept of steemit won me over immediately. I’ve grown tired of the advertising-driven monotony that seems to be invading those of us trying to make a living by creating things, and steemit feels like a breath of fresh air. So, who is (this) Jon Barker? I’m a freelance photographer and digital producer based in the UK. The photographer bit no doubt sounds familiar, but what does digital producer really mean? 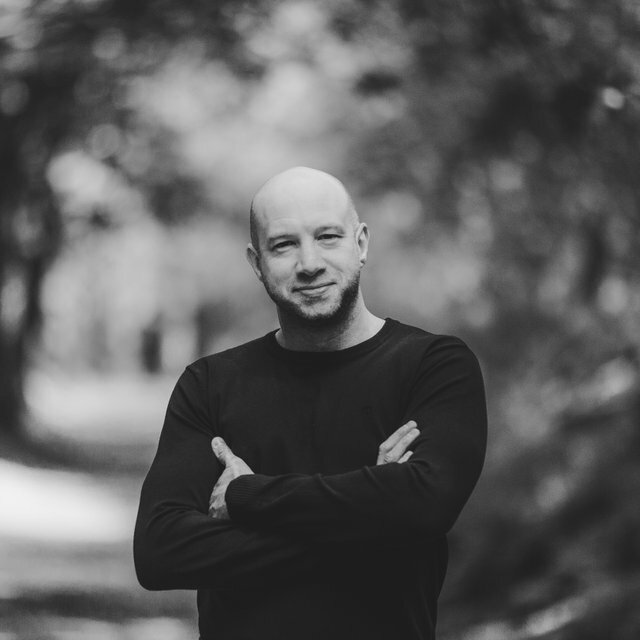 I make digital products such as eBooks, web content and apps that merge a few traditional disciplines - mainly photography, music production, videography, and publishing. Following a 15 year career in software consultancy I decided in 2016 to dedicate more of my time to creative endeavours and formed Global Photo Guides, a brand dedicated to creating travel guides and products for the photography community. Witnessing how new technology (mainly the convergence of smartphone cameras and social networking) was fuelling a boom in digital photography, I wanted to create something of value for other photographers that would allow me to work in a niche of overlapping interests; travel and photography. I started with a project close to my heart - a guide for travel and landscape photographers visiting the island of Lanzarote in the Canary Islands archipelago. Having visited Lanzarote regularly with my parents as a child, I grew up exploring every part of the island with that curiosity and intrigue every small child has. 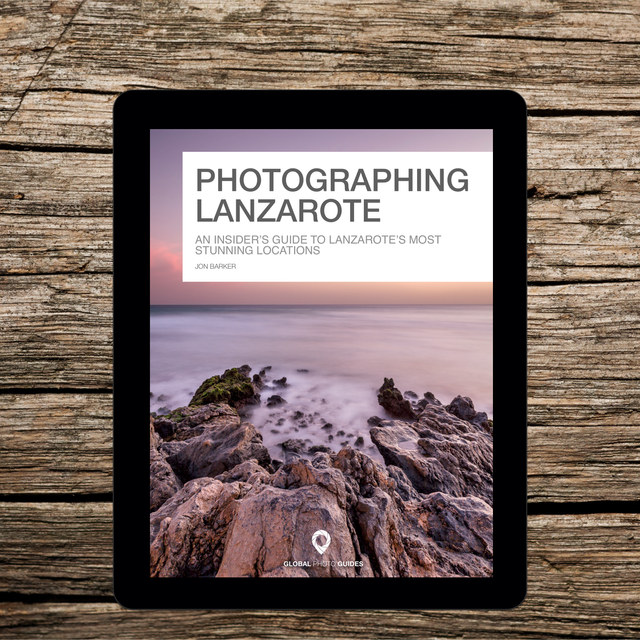 With the familiarity and love for the place that my early introduction fostered, Lanzarote felt like a the most natural place to create the first eBook in a series of guides aimed at helping visiting photographers find the most amazing shooting locations. 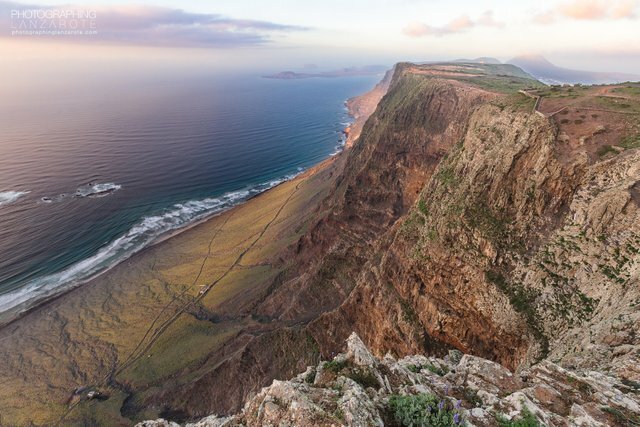 Lanzarote has an impressive range of photographic potential - its volcanic nature is one obvious draw, but you’ll also find lush green mountains, idyllic beaches, ghostly shipwrecks and much, much more. The early feedback from Photographing Lanzarote readers was resoundingly positive, so I set about the next book in the series, shifting geographic location, landscape and culture to the Greek island of Lefkada. A jewel of the Ionian Islands, Lefkada fits the heart and soul of Greece into a compact and beautiful island. 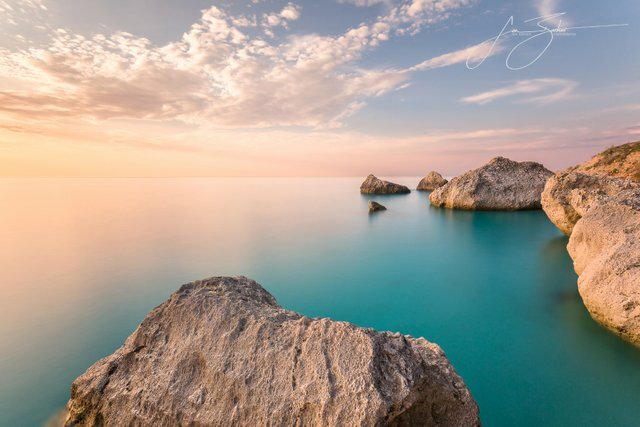 The resulting book, Photographing Lefkada, is packed with idyllic beaches, turquoise waters, and unique vistas, showcasing the very best of a photographer's paradise that remains mercifully untouched by mass tourism. Along with a team of passionate travellers and creative types I am continually expanding the Global Photo Guides range. The latest additions are a set of PDF travel itineraries, meticulously researched to help those of you with a passion for travel, culture and photography discover some life changing adventures. I grew up in the countryside of Yorkshire in the north of England. Close proximity to farms and the world of agriculture left its imprint on me as a child. Even now, I have a side-project where I apply the same ‘fine art’ techniques that go into my landscape photography to the farming world. Aside from visual interests, I also love music. I’ve played drums since my early teens, along with dabbles in electronic music production in the form of In Clean Air, and Defective. I love everything from opera to minimal house, and everything in-between. In addition to my shiny new steemit profile, I sometimes make appearances on ViewBug, 500px, Instagram and FB. I think that's enough of an introductory ramble for now. Thanks for reading, and I look forward to chatting about photography, music, or anything else we find a common interest in! Saludos es un placer ver personas nuevas por aquí, éxitos te desea @ydavgonzalez. Hi Welcome. It is hard to get noticed so always use the maximum of 5 tags. You can still edit and add three. Like travel and photography in this case or life. I joined a community ( a niche) with the same hobby as me whihc keeps me here next to all technical stuff like bidbots ; community bots and alike. Greetings from Holland. Hey @goldrooster, thanks for the welcome, and for the tips. I'll be sure to add more tags next time. After reading the introduction / beginners guide stuff I was a bit wary of using less relevant tags from an etiquette point of view :) When you say you 'joined a community' - is that the equivalent to following tag within Steemit, or do you mean something different like a channel on Steem Chat etc? It is a group with the same hobby (i.e. buying silver and gold coins aka stacking) and we post in tag steemsilvergold and become official members of the club and (some of the IT lovers) set up a club bidbot whereto we delegate steempower agaisnt a daily upvote (max 1 ) n your post. It is to optimally milk the system and to have fun as well. There are a few others liek us here doing the same or maybe many. Hey @jonbarker, Welcome to Steemit, This is a great platform. If you find anything about this platform difficult to understand please contact me and I will gladly help you. I am here to help. I wrote a piece on how Steemit operates a couple of months back which explains how it all works, it is in my blog. If you like please give me a follow. I write about tech/blockchain regularly, I also plan to do more on photography which is one of my passions. I will keep an eye out for and support your posts going forward!. Hey @cryptoguru1, thanks for the welcome. I'll check out your post! Welcome to Steemit! You're a PERFECT fit for Steemit! You'll get the hang of it as soon as you use it more. If you want to connect with some people in photography, I suggest looking for special groups outside of Steemit that you can talk to. There are groups on Discord that can probably help. You get high reward for researching and asking questions! hi, @jonbarker and welcome to steemit. I hope you will find it amazing. Good Luck for your journey. If you like it and want to play it please use my referral link to do so and get reward packs from me. Thank You!! Welcome to Steem jonbarker! Partiko is officially the fastest and most popular mobile app for Steem. Unlike other Steem apps, we take 0% cut of your earnings! You can also be rewarded with Partiko Points while using Partiko and exchange Partiko Points for upvotes! Welcome Jon Barker and Thank you for the better late than never INTRODUCE YOURSELF BLOGand a great informative ine. Content is what its about here. 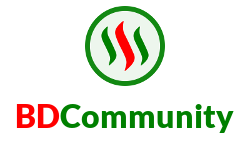 Great to have you on Steemit! You are a sort of a new Steemian now! I saw your introduction just now and its nice to meet you. Blogging, building and uplifting eachother thats what its all about on this steemit blockchain. And you could earn money too. When money is involved There are also possibilities of being hacked so always be carefull with all your passwords, Never give those up !! For more safety tips visit the white paper. For quick posting use the app Partiko. The Steemify App I use is great, it is available in the Appstore and free, go cheque it out. Your value and input is appreciated! Just remember that all good things come in good time and never giving up is the key to big succes on Steemit. Let me know if this was helpfull or you need more help. I am here everyday ! Hi @jonbarker, your post has been upvoted by @bdcommunity and the trail! This post has been resteemed by Newbie Resteem. A great introduction to the community. If at any point you need a hand please feel free to reach out to one of our community members. Best of luck and certainly looking forward to your future content. John this platform suits you down to the ground . Photography tag is one of the most used tags on steemit and you will grow fast if you start posting so of your ones. Welcome to steemit. Quite alot of people are not that up on crypto in here but you don't need to know that much. Anyway if you have any questions you can get me on discord and I will show you a few tips . Discord is a must for this by the way. Nice to meet you. It is yasu24. I am @ocd curator. I nominated you to daily compilation 278. Congratulations!